You love to ski and ride Utah because nothing beats outdoor recreation. We feel the same way, but what do you do while you're waiting for it to snow? 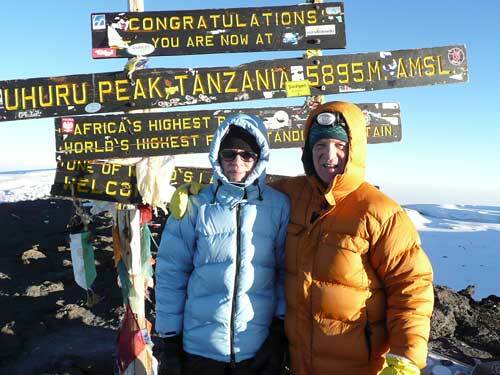 One summer we traveled to Africa with Snowbird avalanche forecaster and World Wide Trekking owner Dean Cardinale. We'd like to share that experience with you. Check with Dean on your next trip to Snowbird, or visit Dean's website if you're interested in trekking adventures. Tom and Nancy atop Mt. Kilimanjaro.